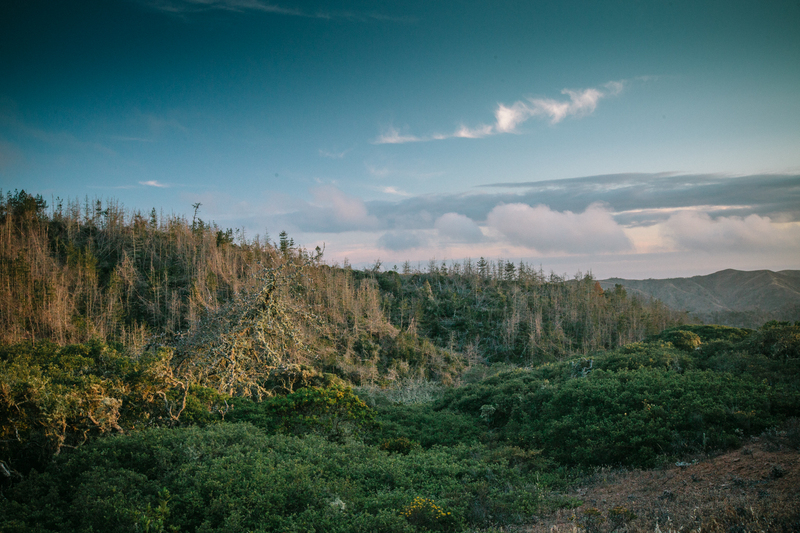 Dead and dying pine trees blanket the hillslopes on Santa Cruz Island in The Channel Islands. Just a few years ago, these forests appeared healthy. Change can come quickly to this ecosystem.